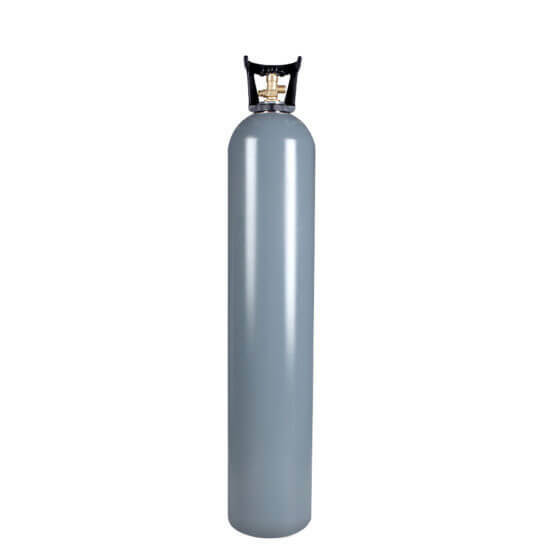 Get quality, capacity, and value with our reconditioned 35 lb aluminum CO2 cylinder. CGA320 carbon dioxide valve and easy-carry handle are preinstalled for out-of-the-box usability. Perfect for more demanding CO2 applications and for extended time between refills in industrial, beverage, soda, aquarium, and indoor grow uses. All Safe Global reconditioned cylinders are restored to the highest standard: fully refinished and hydro tested for maximum performance, durability, and long service life. And thanks to aluminum’s outstanding properties, corrosion resistance and light weight are naturally part of the cylinder. Reconditioned cylinders are sourced from a variety of quality original manufacturers. Reconditioned 35 lb steel CO2 cylinder dimensions listed here are representative but the actual product may vary in height and diameter.